New Jersey Gov. Phil Murphy, seen above in a file photo, has been an advocate for the legalization of marijuana in New Jersey since taking office in 2017. On Monday, March 25, 2019, he and other Democrats canceled a schedule vote by the New Jersey Senate and Assembly on a bill to legalize pot after the Democrats could not secure the votes for the bill to pass. It is uncertain when the bill could be considered again. New Jersey is inching closer to a shutdown as Democratic Gov. Phil Murphy and state lawmakers face off over proposed tax increases. If a balanced budget is not passed before July 1, government offices, public beaches and state parks would likely be closed. It would be the second straight year the deadline was missed in New Jersey. On Thursday, Murphy met with legislative leaders for more than two hours on the $36.5 billion spending plan, but no agreement was announced, with leaders saying they would resume discussions on Friday morning, NJ Spotlight reported. “We had a good meeting and (we’re) looking forward to getting back at it,’” Assembly Speaker Craig Coughlin (D-Middlesex) told the news site. 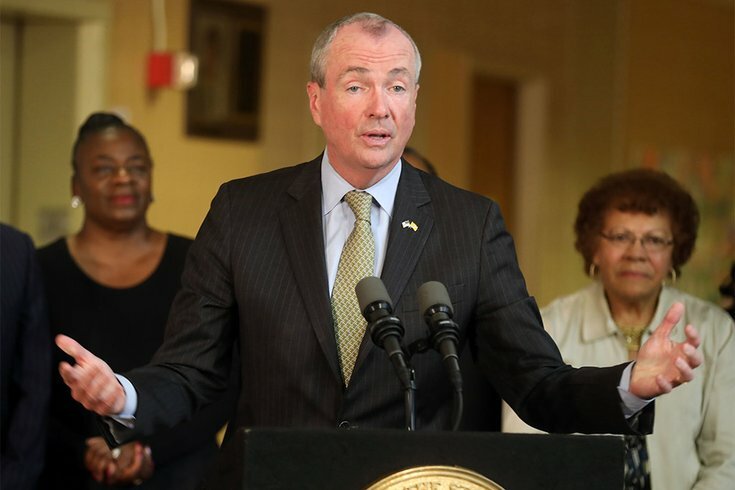 To increase schools funding, transit subsidies and a pension payment, Murphy seeks an income tax increase – from 8.97 percent to 10.75 percent – for people earning more than $1 million, according to the Associated Press. The first-term governor also has offered a two-year phase-in of a hike in the sales tax from 6.625 percent to 7 percent, as well as an increase in business taxes. At a news conference in Trenton on Thursday afternoon, Murphy said he could use a line-item veto to remove spending from the budget bill sent to him by the Legislature, NJ Spotlight reported. That would allow him to keep open state-run beaches, parks and other government operations through the weekend. It would also mean spending in the millions of dollars would be slashed from the lawmakers' spending plan.